Mexicans bound for the Imperial Valley to harvest peas. 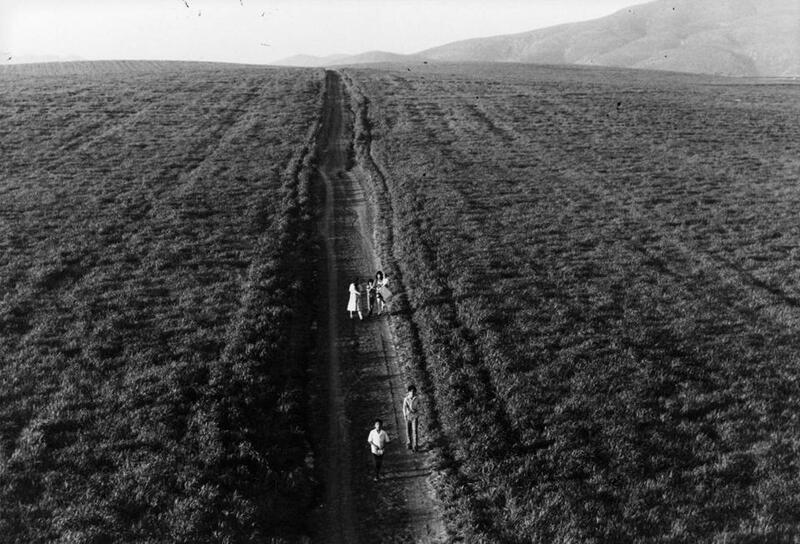 Near Bakersfield, California, in 1936. Discussions of modern immigration policy are often ahistorical, focusing on recent events while ignoring the past policies that led us, as a country, to where we are today. That’s especially true when undocumented immigrants are characterized as criminals, often merely on the basis of their immigration status. This rhetoric isn’t new; it has long been used to justify immigration crackdowns. But the framing of unauthorized migration as illegal does have an origin point: a little-known law in 1929. The law — Senate Bill 5094, also known as the Undesirable Aliens Act — was notable because it was the first time criminal penalties were attached to undocumented entry to the United States. While the law’s passage was not big news in 1929, it is vital to understanding how we discuss undocumented immigration today. To understand the 1929 bill, it’s important to understand the nativist wave that gripped the United States in the 1920s. That wave most famously produced the Johnson-Reed Act of 1924, which set national quotas for immigration in a way that was transparently designed to preserve the cultural dominance of Northern and Western Europeans. The law also marked a transition from earlier anti-immigrant campaigns that had targeted Catholics, Southern Europeans, Chinese, and other Asian migrants, because, for the first time, the law targeted Mexican immigration. As Mae Ngai documents in “Impossible Subjects: Illegal Aliens and the Making of Modern America,” immigration across the southern border went largely ignored until the 1920s. It was mostly seen as being regulated by labor demands in the Southwest, but this changed after World War I ushered in an era of harder borders. In 1924, the Border Patrol was founded to stop Mexican immigrants from entering illegally as undocumented entry began to be seen as a problem. After the passage of Johnson-Reed in 1924, some members of Congress, looking for new targets for their anti-immigration work, pushed for a way to limit Mexican immigration to the United States through the extension of quotas to Mexico as well. In their arguments, Mexicans were often characterized as unclean, economically burdensome, threatening to American jobs, potentially diseased, and predisposed toward criminality. 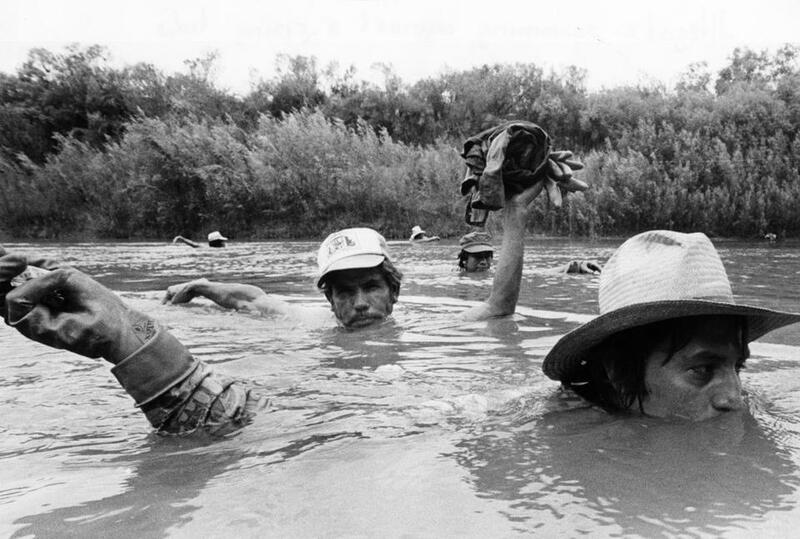 Mexicans who lacked legal entry permits waded neck-high in the murky waters of the Rio Grande, crossing from Mexico to El Ranchito, Texas to work in okra fields. One of the most outspoken, and ultimately successful, critics of Mexican immigration was Representative John Box, a Democrat from Texas. Box had opposed quotas for Mexican immigrants in Johnson-Reed because he feared it would kill the legislation, but, beginning in 1926, he introduced a number of bills specifically seeking to limit legal Mexican immigration. Representative Box would become so associated with the push for restriction of Mexican immigration that one House bill he introduced — a measure that would have imposed quotas on immigration from both Canada and Mexico — was nicknamed the Box Bill. Box catered to his Key Men audience, not only by calling them a “patriotic organization,” but by tying immigration to their fears of communism. “In proportion to her population, Mexico is now by far the most bolshevistic country in the Western Hemisphere,” Box later said in testimony before the House Committee on Immigration and Naturalization. Despite this rhetoric, the Box Bill failed in Congress. But Box and other restrictionists would adopt a new tactic in their push to restrict Mexican immigration by targeting the undocumented. When Coleman Blease, a known white supremacist from South Carolina, introduced Senate Bill 5094, also known as the Undesirable Aliens Act the next year, Box became one of its most outspoken supporters. The bill proposed to criminalize illegal entry — making it a misdemeanor — and to turn illegal re-entry into a felony, which made the immigrant inadmissible to the United States in the future. Reentry after deportation also carried penalties of up to two years in prison, a fine of up to $1,000, or both. Illegal entrants would face misdemeanor charges and one year in prison, a $1,000 fine, or both. Walking along the road from Mexico into the US. The bill was not unopposed. The American Civil Liberties Union, for example, submitted a protest at committee hearings. “It is one thing to deport a person for coming here illegally; it is quite another thing to imprison for a year or fine him a thousand dollars, especially as he might be quite ignorant of the law when he starts his journey,” the ACLU memo said. But the ACLU’s criticism proved to be a lonely one, and the Hoover Administration supported attaching criminal penalties to illegal entry. The Senate Committee’s report included a letter from the secretary of labor, James Davis, noting that a deterrent penalty was necessary if undocumented entry was to be dissuaded. The bill passed with little fanfare and without a recorded vote, but debate set many of the terms for immigration discussions for the rest of the century and beyond, by making dubious connections between immigration and a variety of social ills. Representative Green of Florida noted that, “If you will examine the criminal records you will find that . . . the percentage of criminals is largely foreign.” Representative Box would repeat the negative stereotypes he had drawn on in pushing for quotas on Mexican immigration: “They are badly infected with tuberculosis and other diseases; there are many paupers among them; there are many criminals; they work for lower wages; they are as objectionable as immigrants tried by the tests applied to other aliens.” Republican Representative Roy Fitzgerald of Ohio would claim that Mexican immigrants were poisoning American citizens, and fellow Republicans John Schafer of Wisconsin and Thomas Blanton of Texas would accuse Mexican immigrants of taking the jobs of native-born Americans. Blanton went so far as to suggest that Mexican immigrants would cause the starvation of the native-born. The passage of the Undesirable Aliens Act shifted how Mexican immigration was treated in the United States. 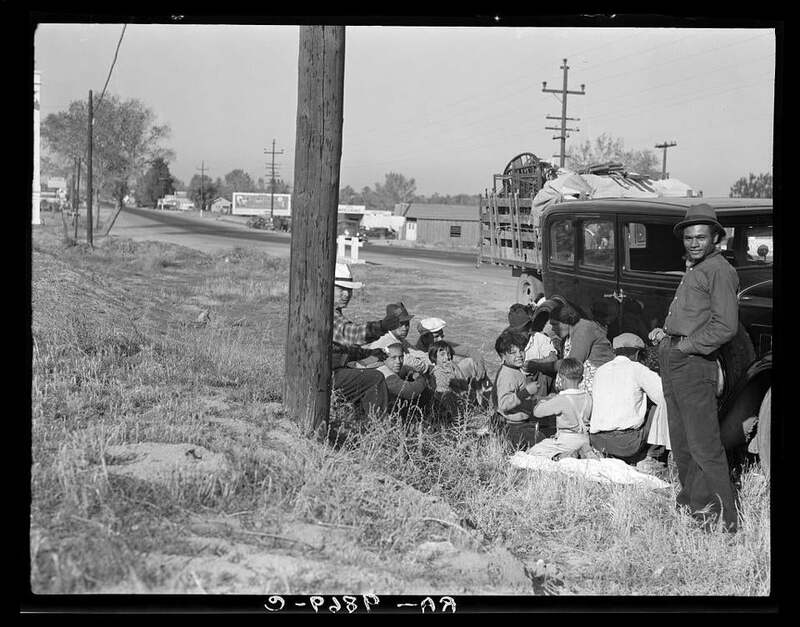 Later that same year, 1929, the federal government, along with state and local governments, began a program of Mexican repatriation as America slid into the Great Depression. This campaign sought to coerce Mexican immigrants to return to their country of origin through immigration raids and threats of penalties for those who could not prove they were in the United States legally. The Undesirable Aliens Act, and the many that have followed it, have reinforced the tendency to see the solution to undocumented immigration as more punitive policy, instead of treating it as an issue of labor. It has not mattered that such policies have not worked, or that they create pain for undocumented immigrants. Instead, such policies are justified by the argument that they are just the law. 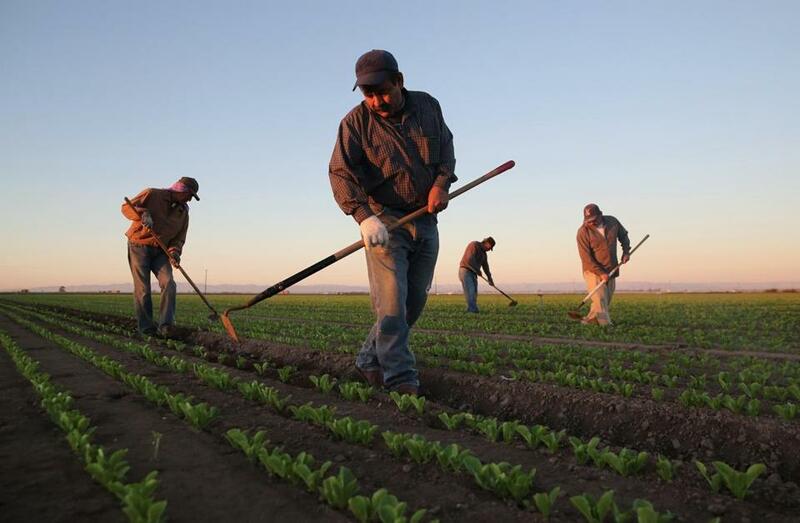 Mexican agricultural workers cultivated romaine lettuce on a farm in Holtville, Calif.
Benjamin Gonzalez O’Brien is a San Diego State University political scientist and author of “Handcuffs and Chain Link: Criminalizing the Undocumented in America.” This article was adapted from Zócalo Public Square.